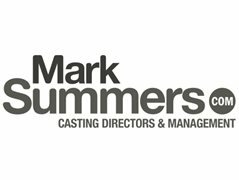 £1200 inc to include both rehearsal day & shoot plus Usage NOTE THIS IS MOTION CAPTURE ARTISTS WILL NOT BE RECOGNISABLE ALL MEDIA IN PERPETUITY ( No one will be recognisable) Shooting days 10hrs Overtime based on £300 day rate - £60 per hr. Transport will be provided from a reasonable location if talent live very far out of London/ expenses will be covered and a car will pick them up from a suitable London location. Looking for a mixture of dancers x 3, who have very good fluidity, this spot is about waves & fluid movement, making shapes and controlling you body. There will be some choreography and also freestyle. Good flexibility will be a bonus, maybe some bone breakers would also be cool or some contortion experience.